We'll Miss you more than words can ever describe. 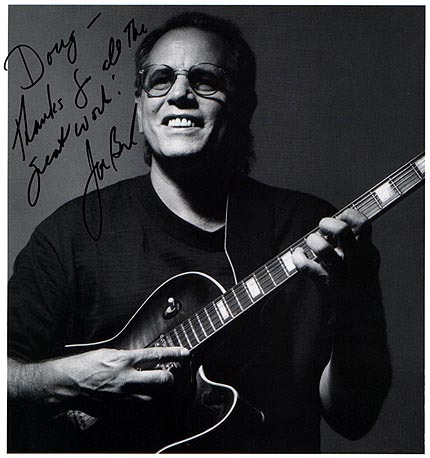 "Doug - Thanks For All The Great Work"
"Doug has worked on every one of my guitars, from a one of a kind D'Angelico Electric, to my traveling Cort Joe Beck Models; from a Martin Acoustic to a rare Esteso Classical. They all sound great and the workmanship is second to no one! Proper !" I've known Joe for more than ten years now. He is truly on of the the great unsung guitar heroes of our time. I have been lucky to know him. I am proud to consider him a mentor, client and a good friend. I have learned more about music in one afternoon with him (and there have been more than we both probably care to mention) than a lifetime of studying music. Here's To A GREAT Wielder Of The Six String Piano. 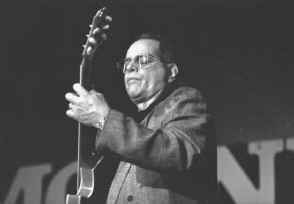 Joe Beck's guitar has graced the recordings and concerts of a Hall of Fame roster including Miles Davis (Joe was his first guitarist), Gil Evans, Duke Ellington, Buddy Rich, Paul Desmond, Maynard Ferguson, Woody Herman, Stan Getz, Larry Coryell, Gene Ammons, Sergio Mendez, Antonio Carlos Jobim, Laura Nyro, Houston Person, Roger Kellaway, Richie Havens, Paul Simon, Joe Farrell, James Brown and countless others. Joe has been composing music for TV and film for twenty years and the recording industry (National Academy of Recording Arts And Sciences) has honored him five times with the Most Valuable Player Award. He has recorded with the Royal Philharmonic orchestra in London, the Milan Philharmonic in Italy, and The Paris String Ensemble in France. 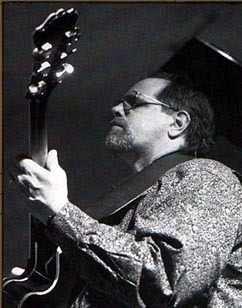 During his rich and varied career Joe has done co-artist albums with a wide range of artists from Mike Mainieri to John Babarian (one of the world's foremost Middle Eastern musicians), to Sabicas (perhaps the greatest of all Flamenco guitarists), and David Sanborn(Beck Sanborn on Columbia CD's and tapes) . Joe also arranged and produced records for Frank Sinatra, Gloria Gaynor, and last, but not least, two albums for Esther Phillips including her hit single,What A Difference A Day Makes. 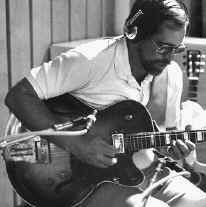 Along the way Joe was signed to contracts with Columbia, Polydor, Verve, Gryphon, CTI, and MGM Records. 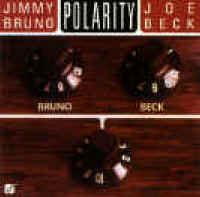 Since the late '80's he has recorded four albums (Relaxin' , Friends ,Back To Beck , The Journey on the DMP label. as well as Fingerpainting, on the Wavetone label which features Bill Evans on sax, Danny Gottlieb on drums, and Mark Egan on bass. The most recent album is "ALTO", a duo project with Ali Ryerson. Received with critical raves, the album is featured on hisWeb Site. More info and ordering options are available there. 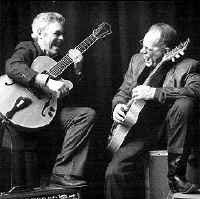 Here's Joe doing some great things on that beautiful D'Angelico of his. 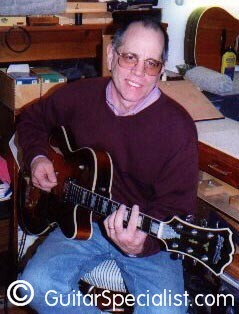 Here's Joe checking out his newly reconditioned D'Angelico at our shop in March 1999. "That unmistakable "Joe Beck Grin" means he's diggin' it! "That's the best this guitar ever Felt"
were his first two comments. Joe Beck's Signature Series Guitars Are Now Available!